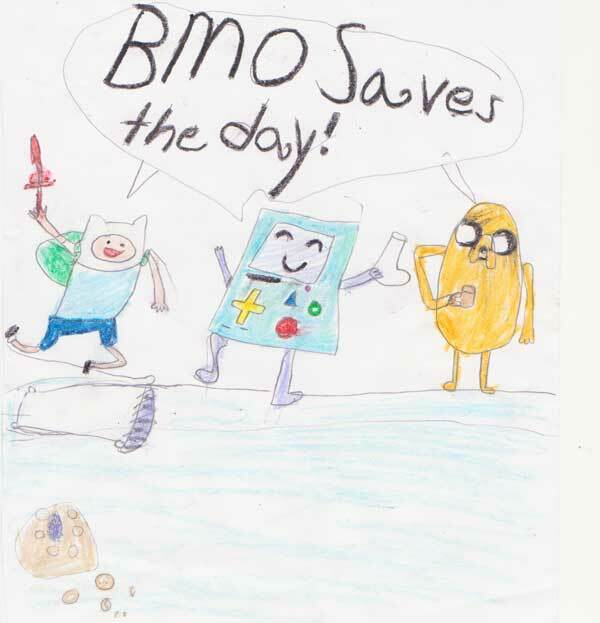 BMO, Jake, and Finn drawn by my 6 year old daughter. This is what I mean when I say my daughter is a better artist than me. I love everything about it, but I especially love the little details. 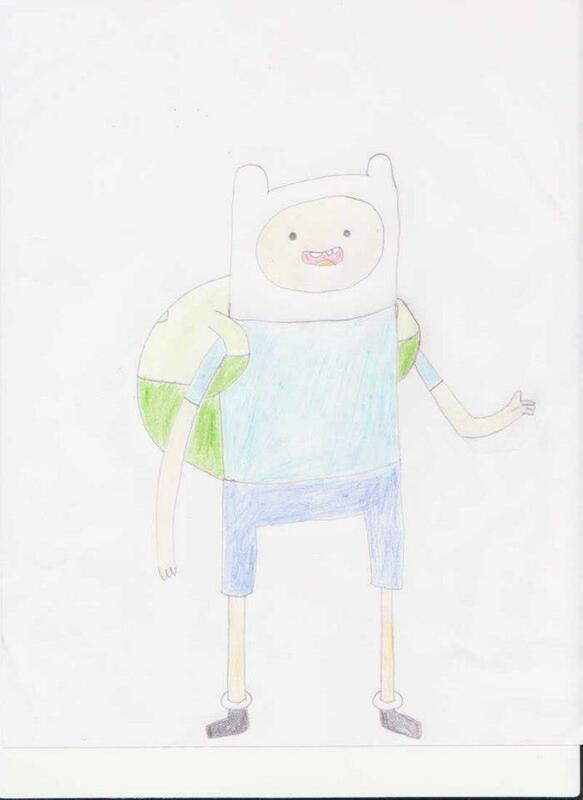 She told us after she drew it that she drew Finn with only one sock because BMO is holding the other one. 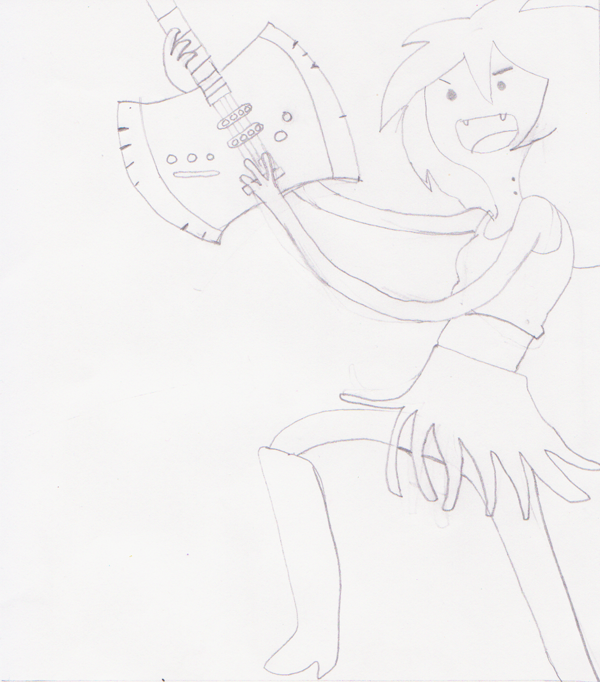 This is, of course, inspired by the episode BMO Noire. What a week? Am I right? 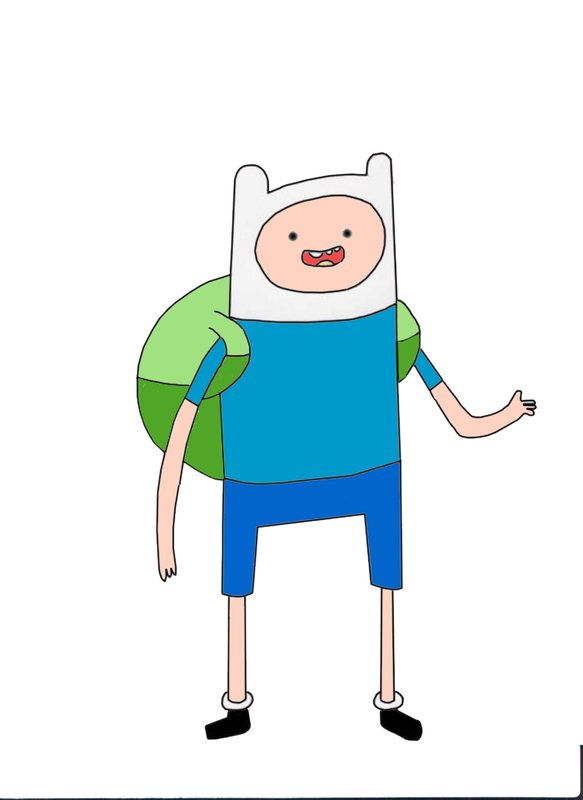 Anyway, I figured I’d post this pic of Finn from Adventure Time I drew last weekend. I just got around to coloring it. And here is the “before”, colored with color pencils. I’m not a very good artist. I’ve always wanted to be good at drawing, because I’ve loved comic books and cartoons my entire life. When I was younger this lack of drawing talent didn’t stop me from drawing, or course. As the years went on, however, I got away from even attempting to draw more than stick figures. As I’ve gotten older, I’ve stopped letting the fact that I can’t do something stop me from doing that thing. Heck, I built a coffee table on my own. I can’t do that. So, I figured, why not give drawing another crack. I’ve also found that art time is a nice way to fill time with my kids, especially when I want them to step away from the computer and television for a bit. It also helps that my daughter is already showing the artistic talents of my wife and quite enjoys drawing. She is better than me already. And I love that. 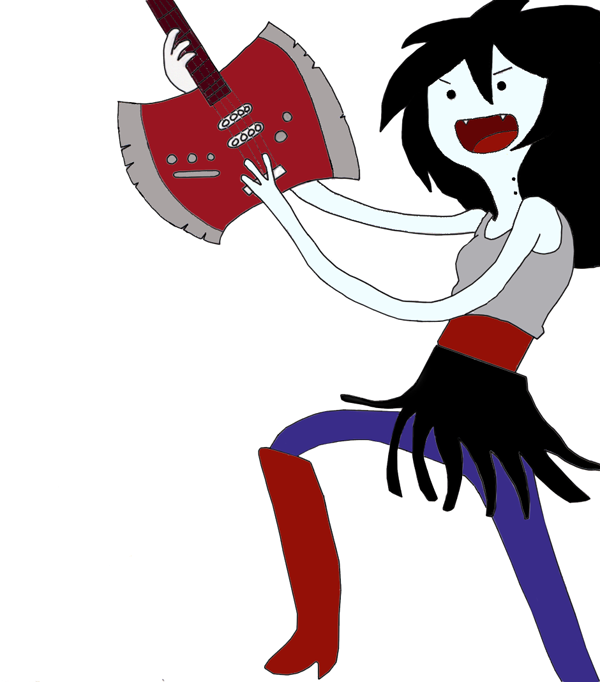 So on Saturday afternoon, my son worked on a Lego sculpture, my daughter drew a really rad picture of Leonardo from Teenage Mutant Ninja Turtles, and I drew Marceline from Adventure Time. Here is my pencil drawing, which I thought was pretty decent. I thought it would look better in color. Here is where I admit I’ve never previously been able to take something I’ve drawn by hand, scan it, and successfully color it in Photoshop. It just always turns out bad. But again, I didn’t let that stop me. Here’s the finished, colorized product. Not bad, I think. Special thanks must go out to the artist that drew the image I modeled this after. If I can find the original, I’ll link to it.